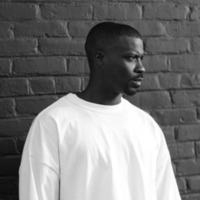 Johnnie McKenzie (born March 1, 1986), better known by his stage name Jay Rock, is an American rapper. He was named one of the top 13 most street artists by XXL. His voice has been called a cross between The Notorious B.I.G. and Shyne. He is apart of the rap group Black Hippy which also features Kendrick Lamar, Schoolboy Q and Ab-Soul. Rock signed to Strange Music and will release his debut studio album Follow Me Home on May 17, 2011 backed by the single "All My Life (In the Ghetto)".